And having fun doing it! Very special thanks to the following companies and individuals who supported the event! Earp Cohn P.C., John Reisner, Esq. Hyland Levin, LLP, Richard Hluchan, Esq. Special Thanks to Bill Bromley for taking charge of the event's Silent Auction once again! See photos from the event in Photo Albums at right. Rotary Circle takes Center Stage! 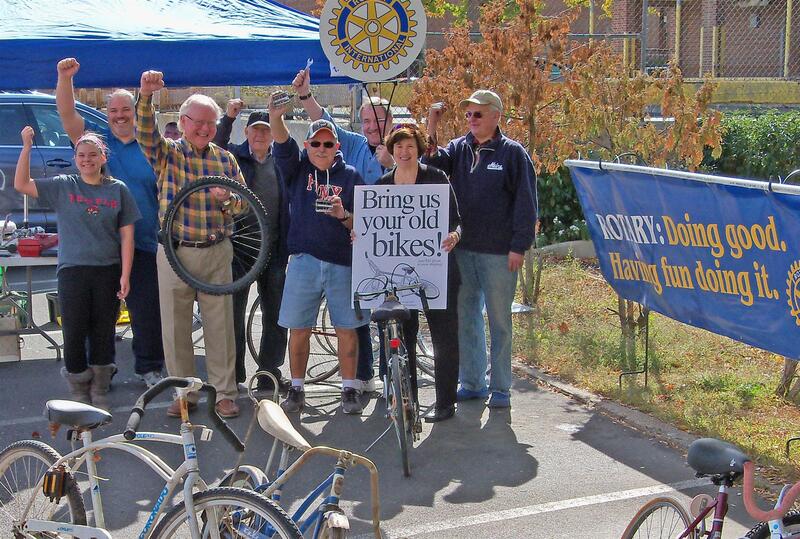 This is "Rotary in Action" and community efforts at their finest! Rotarian Susan Baltake describes it best: "Neither cold weather, traffic or construction problems could stop "Ballerina" from standing tall today!" See the town's newest sculpture gracing "Rotary Circle" the next time you are in Haddonfield (near Acme at Haddon and Ellis Streets). 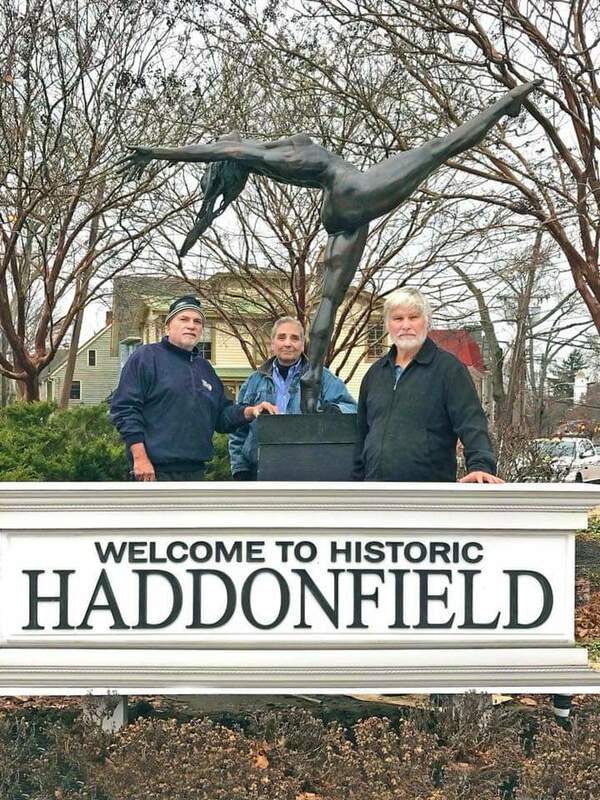 Excellent work by the Haddonfield Outdoor Sculpture Trust and Stuart Harding, who is pictured above (center) with Barry Woods Johnston (right), the sculptor. Rotary Club of Haddonfield President Charles Hart, Vice President Pamela Fisk, and Rotary Club of Haddonfield Foundation Chair Karen Hagerman attended the Respond Automotive Technology Program graduation this week. Pictured above with Camden Councilman Angel Fuentes (second from left), our Club officers demonstrated their support for such important vocational training programs in the City of Camden. Congratulations and Best Wishes to the Class of 2018! 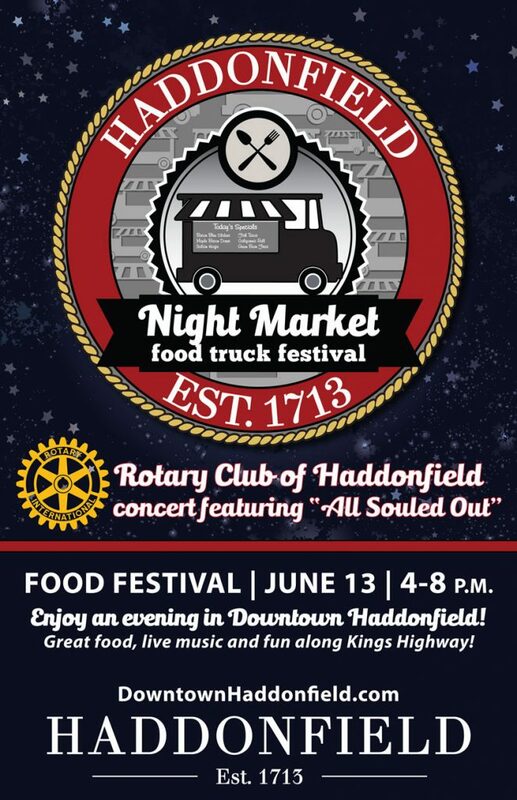 Helping people help themselves is Respond's mission in Camden, and the Rotary Club of Haddonfield Foundation is pleased to support this important mission routinely. Special thanks to Nick Nicolay who represented our members at Respond's recent graduation event for the students in their Culinary Arts program. The Club gave each of the 12 proud graduates a culinary arts book to continue their learning. Click here to read the article. Great job, Charles! 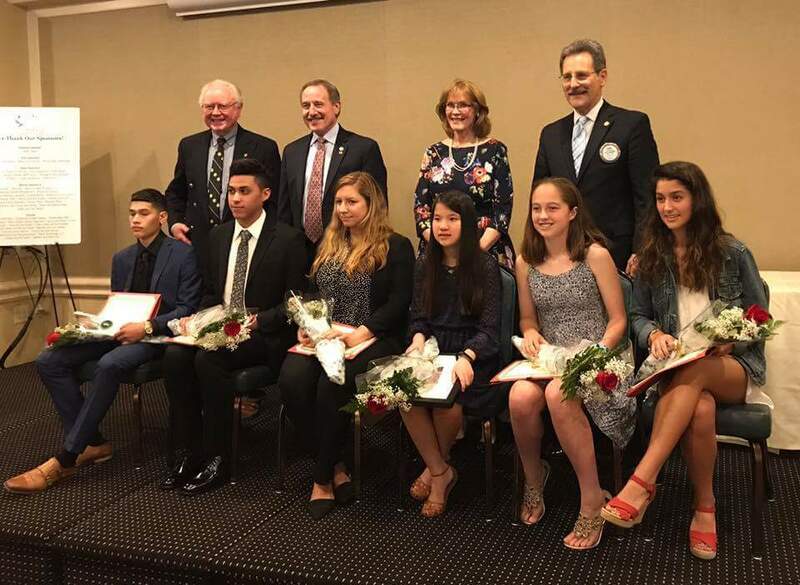 The Rotary Club of Haddonfield hosted its annual Scholarship Dinner on Wednesday, May 23rd at the Tavistock Country Club. Six students from area high schools received scholarships to continue their education. After learning more about each of these students and their hopes and dreams, we all agree -- the future is bright indeed! Thanks so much to member, Rich Hluchan, who shared this amazing photograph from the trip to India for Rotary National Immunization Day, with Tom Veevers. The group had an audience with the Dalai Lama! We can't help but wonder...what did they talk about? Pictured above are Past District Governor Tom Veevers with Haddonfield Rotarians Kathy and Jim Tassini, Dennis Kelleher, Lorrie Hart (Charles's wife), Kurt Brearey (Cheryl Laney), Debbie and Rich Hluchan. Sure hope Rich and the others will share more about this special meeting when they return. By all reports...the trip was WONDERFUL! 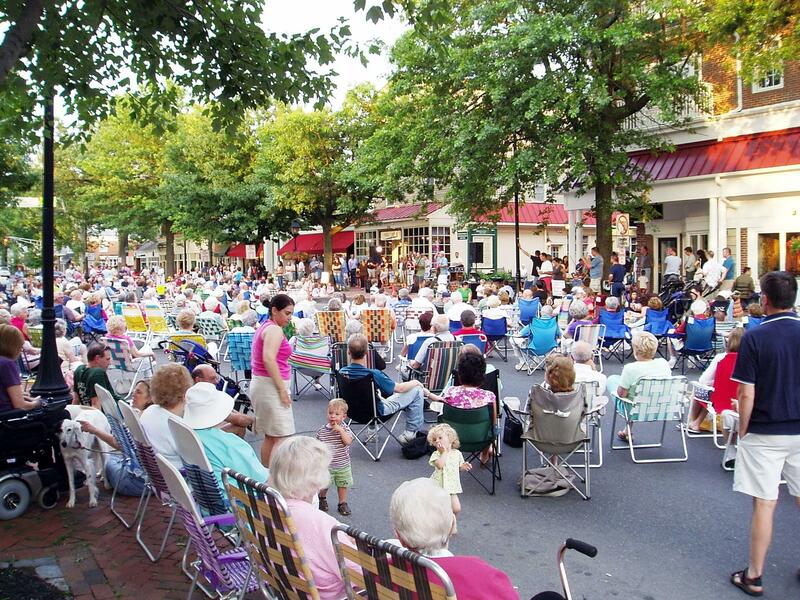 The Rotary Club of Haddonfield is pleased to announce new membership opportunities to welcome new members who for business or other reasons have been unable to serve as full members. In addition, the Club now opens the door for corporate memberships. The world is changing, and so Rotary must change. We look forward to welcoming a wider range of new members to enable us to improve our diversity and continue our good work for many years to come. To learn more, contact Membership Directors, Ed Pfister at 856-287-0325 or Bill Wallner at 609-605-2477. Click here for the new Membership Application. And, Having Fun Doing It! More formally, Rotary is about service and fellowship. In over 200 countries around the world, more than 1.2 million business, professional, and community leaders – members of 33,000+ Rotary clubs – offer their time, talents, and treasure to help make the world a better place. They find it both very worthwhile and satisfying. To download a leaflet that gives examples of the activities and projects that Haddonfield Rotarians are involved in – locally, regionally, and internationally – click here. To inquire about membership, contact the Club Administrator, Vin Parker, at 856-795-7976 or vinparker@cbsnj.com. To learn more about Rotary generally, visit Rotary.org. For a short video on the theme "Service Above Self," click here. Doing Good and Having Fun Doing it! 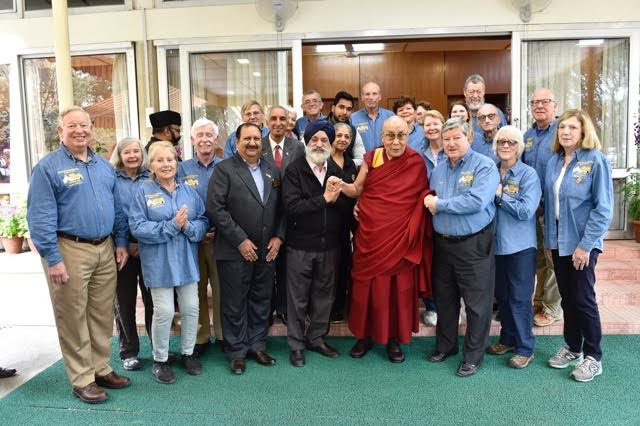 The Rotary Club of Haddonfield is a community of business and professional leaders, united by Rotary International’s commitment to service as a means to foster world understanding and peace. Through fellowship and contributions of time, talent and treasure we respond to the needs of the community by developing programs and service activities that improve the quality of life -- locally, regionally and internationally. Join us to make a difference! Click Donate below to support our mission. help us all spread the word about Rotary.